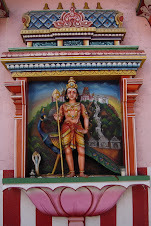 Bangalore Monkey: Tacky or Wonderful? 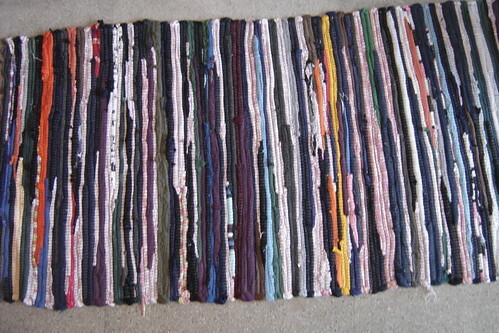 Rag Rug, originally uploaded by jrambow. A confession. Buying a fancy wool or silk rug in India is not very high on my priorities. All the pretentious talking. All the offering of milky tea. All the bargaining and BS-ing. All the ignorance (on my part) about thread counts and natural dyes and blah blah blah. And worst of all, all the looking at rugs. So although it seems dumb to not come back from the place with something substantial that I paid too much for, it's probably not going to happen. Instead, this is my idea of good rug. It's bouncy and cheerful. It's made of scraps. It cost 65 rupees. True, the stallowners who sold it to me on Commercial Street didn't offer me any tea or any stories about Kashmir, but that was really OK. It's about 1 m by .40 or so, not the smallest size. Although I'm sure a little bargaining would have paid off. Is This What San Francisco Feels Like?